Over the past month, the Institute’s Community South C Hub has opened its doors to a variety of events, furthering ‘Mission, Spirituality and Action’. Two ‘winter season’ gatherings were held at the Mercy Hub in August. Both events were facilitated by Anne Pate, Mercy Hub Program & Activities Facilitator, and were well-attended and appreciated by sisters from Community South C. Sharing lunch together after each of these mornings enabled the conversations to continue. This gentle morning of prayer and reflection took as its inspiration the powerful story of the Thai soccer team trapped for many days deep inside a cave, particularly those days before rescuers reached them. We began with the invitation to consider how we respond during our own times of darkness and winter hibernation. Our prayer was framed by the words of the psalmist ‘Deep calls to deep at the thunder of your cataracts; all your waves and your billows have gone over me’ (Psalm 42:7). In response to poetry, music, and scripture, those who came shared their own experiences of deep calling to deep in a contemplative listening process. On 8th August, the BBI Institute hosted an e-conference focusing on ‘synodality’ in the context of the Plenary Council 2020. 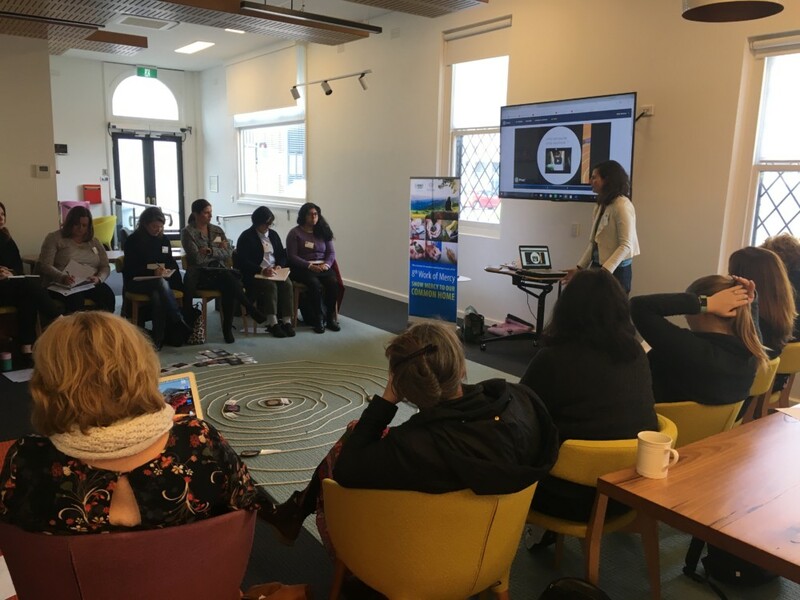 A group of sixteen sisters gathered at the Hub to view one of the e-conference presentations, ‘Synodality, Community and the Margins’, given by Dr Gemma Cruz. Prior to watching the presentation, Anne Pate shared some background to the Plenary Council process. After Dr Cruz’s thought-provoking presentation, participants reflected together on two questions: how might Sisters of Mercy, and those involved in Mercy ministries, take steps to promote a more inclusive, dialogical Church; and are there specific actions that I could take in my local context to include people who are on the margins?​ The discussion generated a lot of energy, along with a shared desire to contribute positively to the Plenary process. On Monday 6th of August a group of teachers working in Mercy Secondary schools on The Seeds of Justice program met at Mercy Hub for a Professional Development Day. The theme: Sustainable Living and ‘Laudato Si’ – On Care for Our Common Home. Sessions were run by Sally Neaves, Eco-education Coordinator – Rahamim Ecology Centre and Sister Adele Howard. Sally looked at how Rahmim and Mercy Colleges can work together on sustainability and promoting care of the earth. Adele spoke about the recent Laudato Si’ Conference at Vatican City – ‘Saving our Common Home and the Future of Life on Earth’. The opening of Sibling Café is fast approaching. 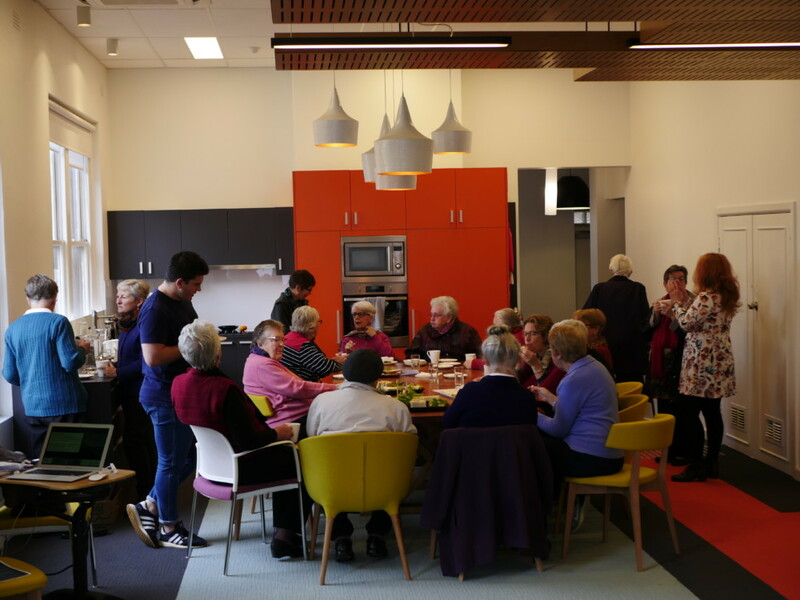 A blessing ceremony was held to mark the handing over of the café space by the Sisters of Mercy to Kinfolk. This was symbolised by the sprinkling of holy water blessed at Fitzroy Convent and brought to the event by the Sisters from that community. 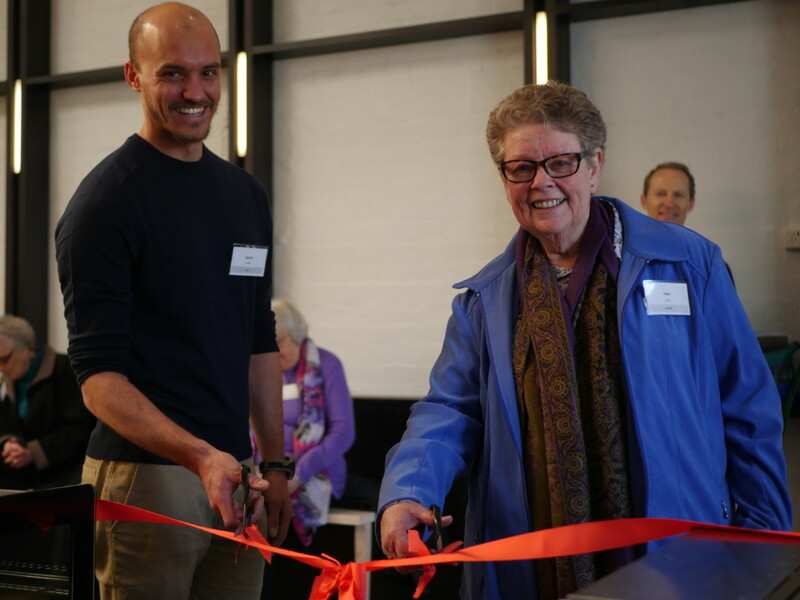 Jarrod Biffa (Kinfolk CEO) and Sister Faye Kelly (Community Leader South C) cut the ribbon. Young Mercy Links (YML) continue to meet regularly and plan for events such as the upcoming Young Mercy Links Sustainability Expo. The ‘launch night’ will be on Friday 14th of September 6.30-8pm and Saturday 15th between 12.30 and 2.30 in 617 Nicholson St, Carlton North. The expo will host guest speakers and a number of displays, interactive art works, buzz sessions with the attendees and supper provided and a reflection on the recent Rainforest Reawakening Retreat. Extensive planning and preparation is underway for the Seasons of Creation program to be held over four sessions in September at Mercy Hub. The Season Launch will be held on Sunday 9th September, 2-4pm including afternoon tea. If you would like to attend any of these upcoming events please call the Mercy Hub on 9389 8200 or email mercyhubinfo@gmail.com. Lastly, we have developed a logo for the Mercy Hub. The logo includes a gradient swirl that flows from the Mercy Cross out to the local community. It also represents a connection between the three buildings of the Mercy Hub. The key words of the logo Mission, Spirituality and Action characterise the activities going on at the Mercy Hub.